This would have to be one of my go-to colour schemes - Black and White with a pop of colour (in this case, one of my faves - Coastal Cabana). 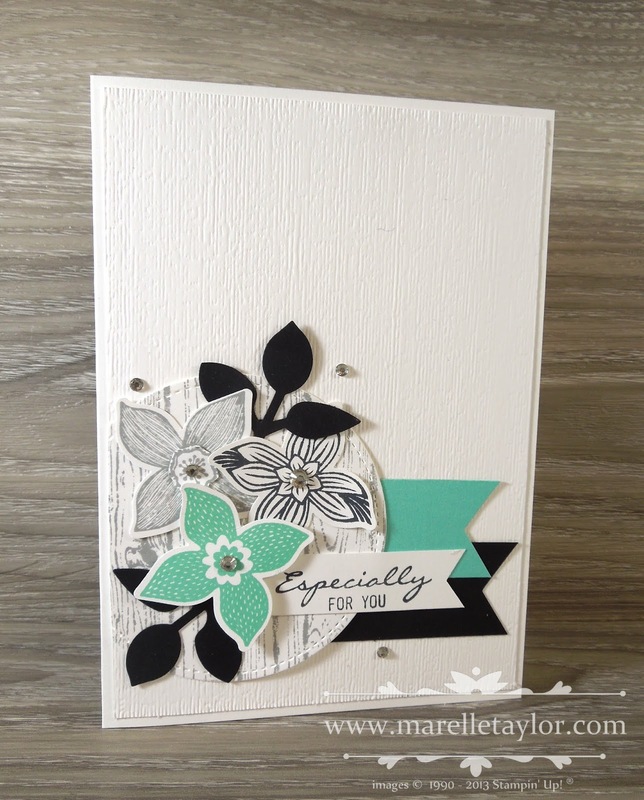 Pair that with a Punch and Stamp set bundle (Pop of Petals), and you have a quick and easy card. 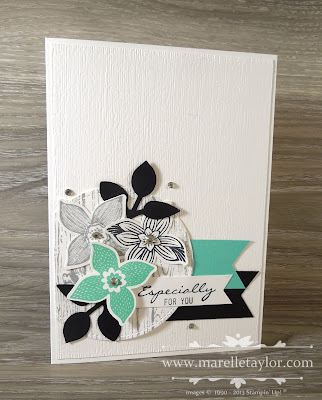 I'm trying to resist using the Subtle embossing folder on every single card I make! I love how it makes plain cardstock not-so-plain.